•Is there sufficient demand for the category (or genre) of their work? •Is there sufficient support for their specific type of work? The first question simply addresses whether there are buyers for paintings or plays or new ballets or string quartet music. The second gets to the quality and character of work that an artist creates, and, while it is primarily understood to address financial support there is also an issue of whether there is social support for it. If a substantial portion of the public—even those who are not in a position to purchase it—finds the work incomprehensible or offensive, the chances for financial success are reduced. Another factor not included in these questions is the artist’s capacity to deliver sufficient quantity of “product” to yield an income that can meet their needs. Digital mediation of artwork in many genres makes this at once more possible and more controversial, but that is an issue beyond the scope of this book.Negative answers to these questions do not mean an artist should not pursue their muse wherever it leads. However, they should understand from the outset the kind and source of difficulties they might expect so they can make an informed choice to follow a passion that may create exceptional hardships for them. The entrepreneurial process is carried out through a basic structure. For artists, their work is prepared and produced either “on spec”—without a specific buyer committed to the purchase (at least at the outset of creation)—or as a commission— where an individual commits to purchase the completed work before it is begun. In either case, there is a combination of marketing, creation, and delivery that must be undertaken. Additionally, and this is a very important consideration, there is a significant lag in receipt of income by an artist-entrepreneur. This is perhaps obvious in the case of work created on spec, but it is of considerable importance to all artists when the time required for various forms of training and delivery is also factored in. Creation of art is, of course, the element of the process that artists best understand, but there are elements of the entrepreneurial system that are sometimes insufficiently appreciated. Most important of these is the fact that the creative artist must expend resources—time and money—to develop the skills necessary to create a product that will be purchased. This applies to direct artistic issues like manipulating the elements and forms of a medium as well as to related skills like mixing paints, using computer programs, or creating musical manuscripts. While most artists have completed much of this skill development by the time they are considering their entrepreneurial options, it is good for those thinking about a life in the arts to see this. It is also a factor for established artists as they consider developing a new skill (in a new technique or computer application, for instance). Both the time and money involved are costs of doing business. After (or sometimes during) the personal preparation, the artist must develop the means by which they create. This includes, of course, their work process— another topic far beyond the scope of this book—but also the way they produce the final product. It is here that the differences between the visual and performing arts are most obvious. In general, the choreographer, composer, or playwright does not perform their own creations. There is some intermediary for production. Visual artists often are the sole agents necessary for completing their work, though some—print artists and sculptors for example—can require the assistance of lithographers or foundry technicians. Artists must develop relationships with each intermediary necessary for bringing their creation to a final form of presentation or delivery. For many artists, the most dreaded aspect of entrepreneurship is marketing themselves and selling their work. It seems extraneous to making art and, of course, it is. However, since nearly all artists are de facto entrepreneurs, marketing and sales is necessary and largely unavoidable. This is the reason, certainly, that agents exist, people whose responsibility it is to handle those functions for an artist; but the artist-entrepreneur must evaluate whether the cost of an agent, if one will agree to represent them, can be adequately covered by the income from sale of their product. A specific and crucial aspect of marketing for the artist-entrepreneur is some form of “sales package”—artist portfolio, musical or video samples, reviews, website content. No one will purchase a work of art unless they can see or hear the work itself or some representation of it. While an artist may be able to get assistance in putting this particular form of promotion together, they are the ones best positioned to make appropriate selections and preliminary choices regarding how those should be organized. The timing of marketing and sales is determined by whether the artist plans to create on spec or under commission. In the former, of course, marketing and sales can be delayed until the completion of the work. However, this increases the time lag for receipt of compensation for the work. In seeking commissions, the artist commits to marketing and sales up front, ensuring payment near completion of the work but requiring the expenditure of time in advance of its creation. The final stage in the process is delivery of the art. In the visual arts, this is usually fairly straightforward. The piece is physically transported to the buyer. Size and fragility can certainly be complicating factors, but nothing like delivery of something that is not a “thing,” as is the case in the performing arts. In the performing arts, where a production company or at least a group of performers is required, after the manuscript or choreography is completed, it must be translated into a production that can be presented to an audience. If compensation for the creation must wait until after the work is presented, the delay in payment is often substantial. The core work of the creative artist is creation. In earlier eras when patronage for creation and presentation was common, focusing on that core work was possible. Today, with most artists required to function as entrepreneurs, the broader range of skills and tasks outline here are essential. Unfortunately, until recently the training of artists was almost exclusively concerned with the details of creation. This is changing with more education and training programs addressing marketing, sales, production, and presentation. The foreseeable future suggests that the capacity to function as an entrepreneur will be an increasingly important factor in artists’ ability to make a living with their art. Knowledge may be power but in this case the need to see oneself as a marketer and producer in addition to being a creator can be daunting. This is true regardless of whether an individual is considering community engagement as an element of their work. The premise of this section of the book is that adopting an awareness of community and developing skills in engagement can be beneficial to artists. • About what are you most passionate? • At what can you be the best in the world? In other words, at what are you best, what do you most enjoy doing, and what does the world (the community) most need? (In keeping with the earlier frames, a fourth question should be added: What brings in the greatest income?) Where the answers to these questions overlap is theideal place from which to work. It can be freeing to move beyond the not uncommon mode of decision-making for an artist—“What do I want to do?” Adding “What does the world most need?” and seeing where that overlaps with one’s gifts and passions can open up new possibilities, some of which may be equally as fulfilling as what otherwise might be chosen. It is true that none of this would be necessary if things were as they were for a few artists in seventeenth- and eighteenth-century Europe. However, the support/ patronage model is broken and will not be revived. Artists are entrepreneurs, independent agents. Change in methods of operation, the very core enterprise of being an artist, is essential. Community engagement provides a significant option to consider in seeking such change. The question “What do I want to do?” is limiting. The artist who responds only to this question is bound by the universe of possibilities with which they are familiar or can imagine. This does not refer to artistic vision. Rather it is a concern with options, modes, and, to an extent, genres. Traditional forms and media can be treadmills on which one can get stuck. When the question “What does my community most need?” is asked along with it, new ways of seeing the world and one’s place in it develop. A choreographer from Austin, Texas provides a telling example. In 2008 Allison Orr trained and worked for months alongside City of Austin sanitation workers collecting trash, dead animals, and recycling. Out of this experience she created a 75-minute dance in 18 sections that highlighted aspects of sanitation workers’ jobs. It included a dance for three street sweepers, a truck quartet, a solo for a bucket truck operator and his truck, as well as a grand finale for all 16 of the department’s vehicles. The work, Trash Project, was named the #1 Arts Event of 2009 by The Austin American Statesman, the #1 Dance Event of 2009 by The Austin Chronicle, and winner of Most Outstanding Dance Concert by The Austin Critics Table. Receiving Kickstarter funding for a re-staging, it was performed again in 2011 to an audience of 4,000 over two nights in 100 degree heat. Trash Project has been made the subject of an award-winning documentary, Trash Dance, that premiered at Lincoln Center last February of 2013. This project was highly successful artistically; it had a powerful impact on the participants and on the city of Austin; and it arose from Ms. Orr’s vision of herself as a community member with gifts to employ in making people’s lives better. Her company, Forklift Danceworks, specializes in dance by and for “ordinary” people. She has completed comparable projects with, for instance, Venetian gondoliers, firefighters, electric company line maintenance personnel, and Japanese baseball players. Ms. Orr’s mission as a community-engaged artist has opened to her possibilities for work and for creative expression that would have been unthinkable without that frame. It has enabled her to be a far more successful entrepreneur than would have otherwise been the case. One understanding of creativity is the making of something new by combining seemingly unrelated things. One can extrapolate from this that the more different things one encounters, the greater the opportunity there is for artistic inspiration, insight, and creativity. African masks inspired Picasso toward cubism; Javanese gamelan music inspired Debussy to musical impressionism. 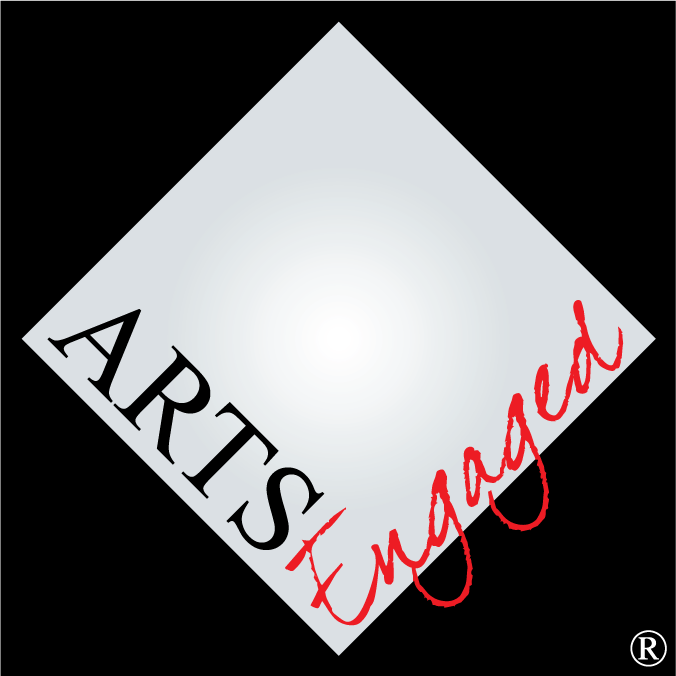 Community engagement, where it is involved with cultures not typically associated with the arts establishment, by its very nature exposes the artist to new forms of cultural expression and new ways of looking at the world. In this way it provides not only expanded opportunities for artistic work, it offers the very real potential for artistic experimentation and breakthroughs. It is simply good for art. “What do I most want/need to do and what does the world most need done?” The trick for artist- entrepreneurs is to ensure that the interests of both sides of the equation are maximized. Successful community engagement is dependent upon high levels of satisfaction on the part of both the artist and the community. Self-sacrificing service is not sustainable. As is discussed elsewhere here, the talents and skills necessary for community engagement are different from those required for artistic creation, production, and presentation. Beyond authentic desire, success as a community-engaged artist-entrepreneur requires communication and collaboration skills, cross-cultural and social awareness, and much patience. In particular, the establishment of trust and sparking the community’s imagination about the potential of arts-based projects often takes much time and effort. Some communities have been “burned” by the arts establishment and will be wary. Others have no concept of how the arts could have any impact on or meaning for their lives. Clearly, community engagement is not an appropriate path for every artist. However, given the fact that artists must be entrepreneurs, the more options there are to consider the greater the likelihood for finding a viable path. Community engagement can exponentially increase the number of options available.